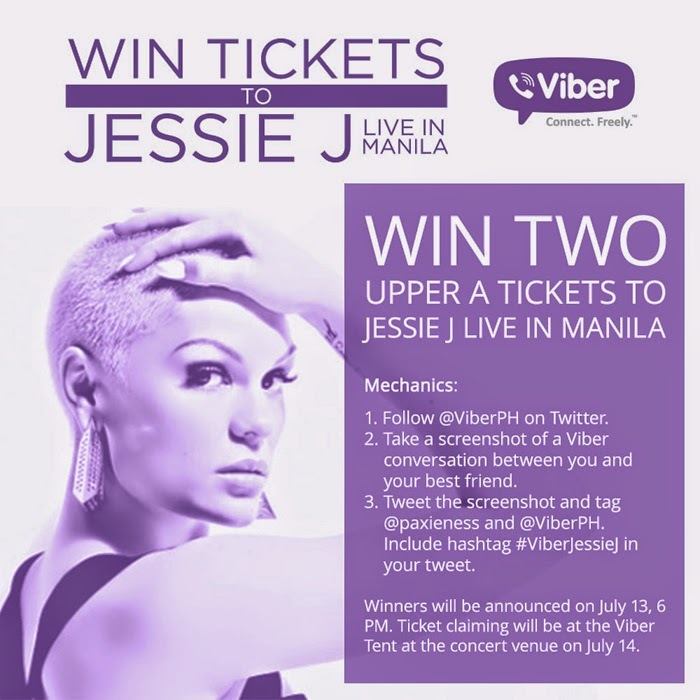 Viber x Jessie J Concert Tickets Giveaway! Here's a quick giveaway brought to you by VIBER! If you love Jessie J, then you shouldn't miss this! Viber is giving away 3 Upper Box A tickets to her concert on Monday, July 14 2014 at the Araneta Coliseum, to 1 of my lucky reader! 2) Take a screenshot of a Viber conversation between you and your best friend. 3) Tweet the screenshot and tag @paxieness and @ViberPH. Include hashtag #ViberJessieJ in your tweet (hashtag is also mandatory). That's it!!! Winner will be announced tomorrow night. Tickets could be claimed at the Viber booth on July 14. See you there!!! Ending this post with my favorite Jessie J song an video... so excited!! !